Were it not for its palpable bodily presence, this moving bronze might almost seem a manifestation of pure spirit. Flame-like and quavering, the supplicant seems already to have passed beyond filial remorse to paternal absolution. Rodin's pre-emption of symbolist and expressionist imperatives is patent in the work. Unarguably the greatest sculptor of the early modern period - it is almost impossible to call him a nineteenth-century figure - Rodin was also among the most prolific. His Paris studio was large and active, and the French master himself a worker of formidable muscularity. Rodin's reputation for genius, cultivated in part by the artist himself, is justified by the extraordinary variety of his invention and the ardour he brought to even the smallest project. 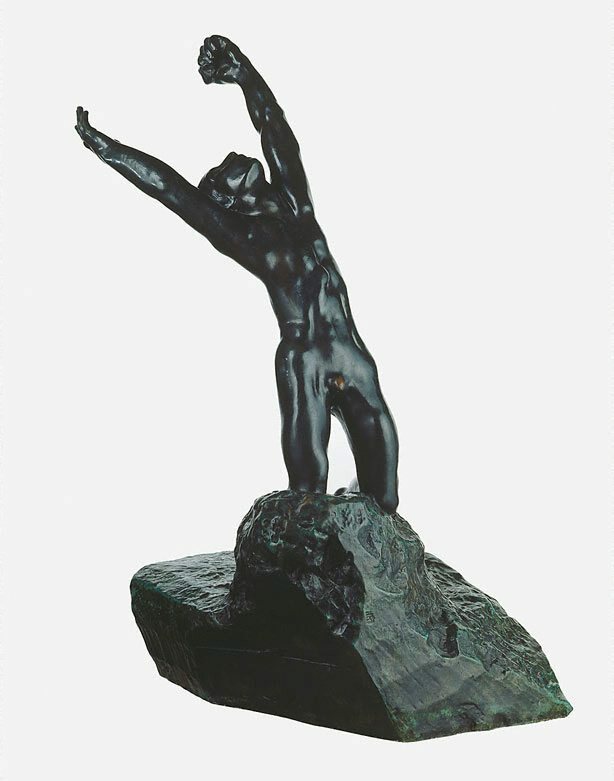 'The prodigal son' characterises Rodin's quest for the life-force within the human form. Signed top of base, incised "A.Rodin". Not dated.